Services were started in July 1898 in a tent on the site where the flats now stand next to the existing Church. In August of that year services moved to a room in Brownhill Road while building was taking place. A new Church was opened in 1913 as The Benson Memorial Church. After the second World War, when the Methodist Church in Hither Green Lane was destroyed by enemy action, the members came up to join us. Our Church was also damaged by enemy action in 1944 and services had to be held in the old hall until 1948, when the Church was re-opened after War Damage Repairs. 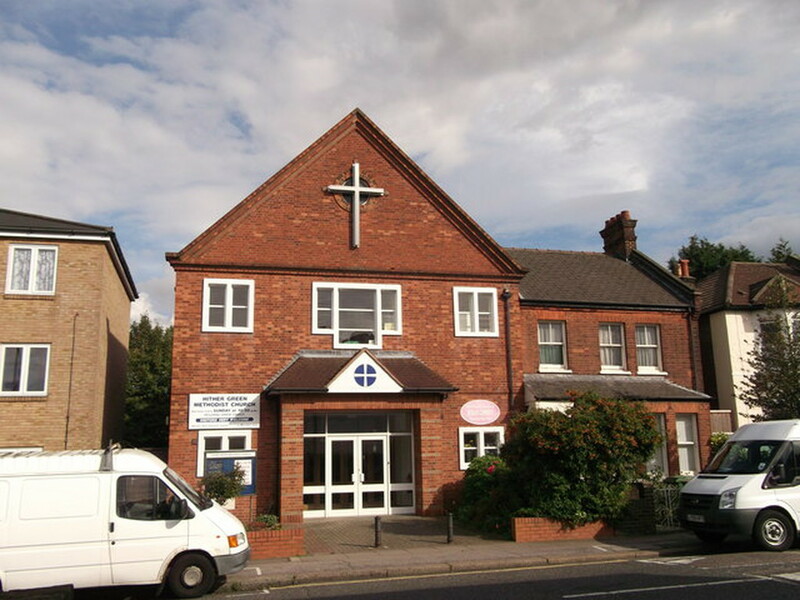 Over the following years the Church then became known as the Hither Green Church. Activities include “The Benson Club” social afternoon with members of the congregation, Brownies and Guides. We have also recently become involved with “Feed the Hungry” and made our first contributions just before Christmas. We hope to continue this support perhaps once a quarter.